• Paul Oakenfold has been touted as one of the world’s leading DJ/remixers by various outlets including CNN, Rolling Stone, BPM, Remix and more. • On August 18, 2008 Paul Oakenfold will release his Oakenfold Anthems - a very special triple CD mix packaged in a gatefold digipak. The tracklist speaks for itself – Underworld, U2, Planet Perfecto, William Orbit, Gouryella, Faithless, System F, Grace, BT, Energy 52, Robert Miles, Mansun, Y Traxx, ATB, Josh Wink, Leftfield, Mauro Picotto and BBE. All re-edited and exclusively mixed to capture an epic era in the history of British clubbing. 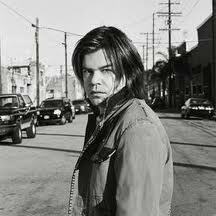 • Paul Oakenfold released his second album for Maverick A Lively Mind in June 2006. This Grammy-nominated album includes the single, “Faster Kill Pussycat” featuring Brittany Murphy. Other guests on the album include Pharrell Williams, Grandmaster Flash, Ryan Tedder of Onerepublic, Spitfire, Bad Apples and more. • His first album for Maverick Bunkka was released in 2002. It included "Starry Eyed Surprise" featuring Shifty Shellshock of Crazy Town, a Top 10 hit in both America and the U.K. Other guests on the album were Perry Farrell, Nelly Furtado, Ice Cube, Tricky and Hunter S. Thompson (his last recording before he passed away). • “Starry Eyed Surprise” reappeared in early 2005 as part of Diet Coke’s ad campaign for their re-launch of the beverage using Splenda. Paul’s hit, “Ready, Steady, Go” currently appears in Saab’s US ad campaign, and a new song, “Feed Your Mind” also appears in Toyota’s European ad campaign, for which the major car manufacturer has committed to 42 million Euros (over $51 million dollars) worth of ad buys. Oakenfold also scored the music for a Hummer commercial. • Paul Oakenfold’s 2004 mix album Another World has reached gold status in sales making it one of the biggest selling dance albums of all time. In total his releases have sold almost 2 million in the U.S. alone. • Film credits include music for Nobel Son, Collateral, Swordfish, The Matrix Reloaded, Pirates of the Caribbean, Die Another Day, Planet Of The Apes, The Bourne Identity and Shrek II. TV credits include music for Alias, Big Brother and Las Vegas. • Remix credits include, among many others, works for U2, Rolling Stones, Michael Jackson, Justin Timberlake, Madonna, Paris Hilton Jennifer Lopez, Salt N Pepa and The Cure. • As a touring musician, Oakenfold has DJ’d in hundreds of places around the world. Some unique locations he has appeared at include the Great Wall in China, the Hollywood Bowl in Los Angeles (sold out) and Red Rocks Amphitheatre in Colorado. Other foreign territories he’s appeared include Cypress, Lebanon, Ibiza, Korea and more. He’s also noted as one of the most well traveled electronic touring artists within the United States. • He scored GoldenEye: Rogue Agent, the James Bond-inspired videogame. • Paul Oakenfold was the star of Spike TV series The Club and had a cameo appearance in the film The Rules of Attraction. • Prior to becoming a world famous DJ and producer, Oakenfold served as an A&R consultant for Profile Records and Def Jam, where he signed artists including Salt N’ Pepa, DJ Jazzy Jeff and Will Smith. • Paul Oakenfold was born in London, England and currently resides in the U.S. Before becoming a major force in the music industry he graduated from the Westminster Technical culinary institute becoming a certified chef. He was also an investor along with rockers Tommy Lee and Dave Navarro in the Hollywood, CA nightlife establishment Rokbar. Darin Epsilon & Tom Sela 'Metamorph (w/ Luis Junior & Deepfunk mixes)' OUT NOW! All times are GMT -4. The time now is 02:24:15 PM.